New Delhi: After stitching a deal to sell 49 percent stake in Essar Oil to Russia's Rosneft, the Ruia family is looking at selling another 25 percent stake in the company to an oil trader or a strategic investor like Saudi Aramco. The sale of 74 percent stake (49 percent to Rosneft and 25 percent some other investor) will help bring down Group debt by half to about Rs 46,000 crore from current Rs 88,000 crore, sources said. The promoters see an enterprise value of Essar Oil of $10 billion. A preliminary deal for sale of 49 percent in Essar Oil to Rosneft was signed between the companies in July 2015. In March 2016, they signed a non-binding agreement. No valuation was provided for the deal at that time. Rosneft, the world's top listed oil producer, will get a hold in India's second biggest oil refinery as well as its 2,400 petrol pumps that will more than double to 5,000 in two years. The Russian firm will also supply 10 million tonnes a year of crude to Essar Oil's 20 million tonnes per annum Vadinar refinery in Gujarat for 10 years. The deal, however, does not include Essar Oil's upstream portfolio comprising of five CBM blocks, holding up to 10 trillion cubic feet of gas resource. Rosneft is majority owned by the Russian government with BP Plc holding under a 20 percent stake and public shareholding at around 10 percent. The deal between Essar Oil and Rosneft is now in its final stages with the binding terms of the contract expected to be signed shortly, sources said. 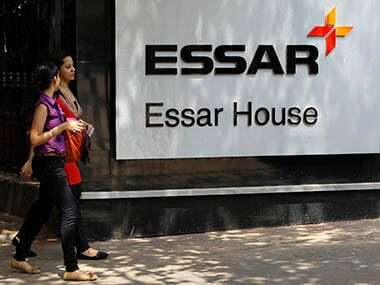 Essar has commenced discussions with more than one interested foreign investors for selling upto 25 percent additional equity, they said. While the Rosneft deal is likely to conclude next month, sale of additional 25 percent equity is expected to conclude by August. Sources said Ruias are leveraging the value created in an asset by monetising it. The promoters had recently paid Rs 3,347 crore to minority shareholders of Essar Oil to get the company delisted. This was the largest payout to public shareholders by any delisting company in India. The delisting had valued the company at about Rs 38,000 crore. Rosneft deal is the biggest private sector investment from Russia to be made in India. A group of Indian state-owned oil companies including ONGC Videsh Ltd, Oil India Ltd and Indian Oil Corp (IOC) are investing $5-6 billion in taking substantial stake in two oilfields operated by Rosneft in Russia.